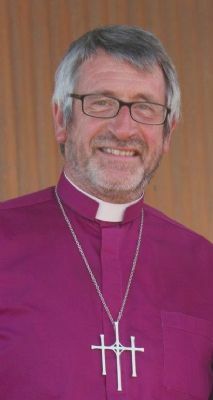 Bishop Rob Gillion appointed to lead St John's! Bishop Rob has been licensed as an Assistant Bishop in the Diocese of Lincoln and is to be half time interim Priest in Charge of our parish of St John's. He took up office on 4th March 2019. A very experienced, priest Bishop Rob returned to the UK last year after serving four years as Diocesan Bishop of Riverina in New South Wales, Australia. Bishop Rob and his wife Janine were warmly welcomed at an uplifting service led by the Bishop of Grantham, Bishop Nicholas, in the company of many parishioners, local clergy, ministers and other friends of St John's.